We can all get comfortable, and I don’t just mean just physically but mentally. For instance, do you get times when you just feel as if you ‘can’t be bothered’ or doing something productive seems like climbing mount Everest? You rather be where you usually are and run your day as you usually do, and then you go to bed with thoughts that do not serve you e.g. what you should or shouldn’t have done today, worrying about tomorrow. If yes, you’re not alone as I’d been feeling for several weeks, and then a dear friend, and coincidentally a Life and Well-Being Coach, Wajeeha Amin reached out to me via WhatsApp sharing her latest event, Self-Sabotage, Let Yourself Grow Masterclass. 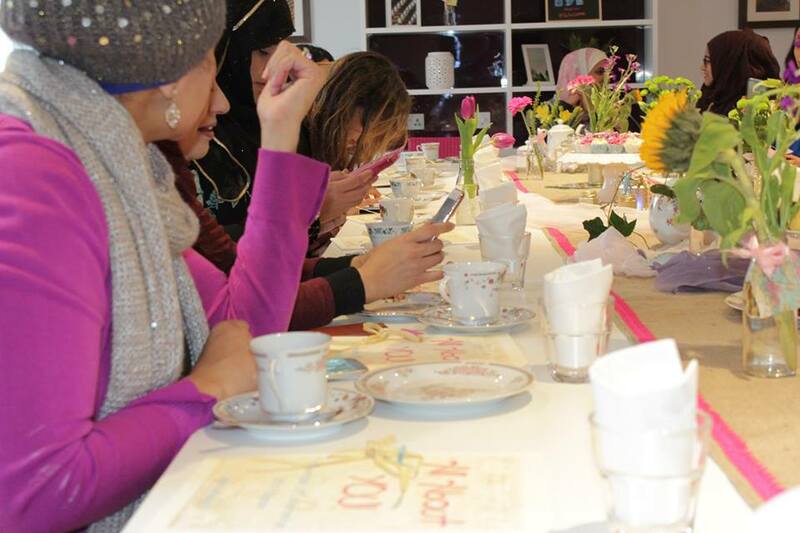 I knew it would be good for me as, I had been to Wajeeha’s meetups, workshops and masterclasses previously and left feeling invigorated and motivated. In addition, over the months I had seen the positive benefit it had on my life, for example, she had helped me to leave my city job, moving out of my childhood home to my own place without worry and started my business. I was living a fulfilled life without worrying and got married, thanks to her guidance to break through my barriers and I’m a tough one to crack. I didn’t realise what may seem like she has it all, didn’t and now it was time to focus on one of my biggest challenges, my mindset holding me back from flourishing in my life. I had always felt like this in my work but didn’t know what was going wrong. As many of you many know I like to be honest, and most events I attend I walk away with more negatives and usually never return but I’ve attended Wajeeha’s events religiously as they always give me answers. I do not say that as she’s a friend, and no she did not get me, neither suggest I write this article but her events are underestimated in London and I needed to share with you. I love helping people, so they don’t go through what I did. Before attending the Masterclass I knew something was not working in my life and business and something needed to change. Although the event gave me a place to have the discussion, be around people who felt like me and try understand the problem. I understood that it was not going to be an easy fix, as from my personal development work, my past was defining my future and I was holding myself back from achieving my full potential. What made the biggest difference was Wajeeha personally supported us to re-wire your brain in to thrive not just survive, for me that was not worrying about the next bill and focusing on my business. She allowed us the space to understand why we choose to sabotage ourselves (survival mode), through her training and academic background it was starting to make sense. I soon realised I was worrying about what people would think and it would spark my anxiety and the Masterclass uncovered personal barriers we’ve collected over time and everyones reasons of fear of failure was unique. Unlike most events, Wajeeha’s masterclass was great as it tackled how to build a new, bold, shared how to bring in positive thinking and gain back your confidence. I was motivated with practical actions I could implement in the coming weeks. My personal favourite she highlighted was learning the ability to recognise the the inner voice, which was crucial as the voices we all had collected over time were not ours but negative past characters. Then just as we thought we has hit the peak of the masterclass, Wajeeha brought out her secret weapon, a thought provoking task, where we practically came before our saboteurs. An imaginary task of course, but a physical task that psychologically moved us forward to face our fears and deal with the challenging emotions, which we all try to avoid but Wajeeha was at hand to help us 1-to-1. Furthermore not only does Wajeeha listen to her community and discuss hot topics we could do help with, but when you walk in to her events, you are taken back by the preparation, from booklets to props she’s come in beforehand. Unlike many women empowerment events I’ve attended, she’s by far a wonderful host, for example she greets you as if you matter, cares and acknowledges your personal challenges, then comes round to help you on a 1-to-1 level. A golden nugget of Wajeeha’s was, get comfortable with the unfamiliar, and get uncomfortable with the familiar and associate the new outcome with pleasurable thoughts. For instance, that would mean I needed to do the opposite of where this story started and begin to put new behaviours in place. In practise this would mean stop getting uncomfortable with working from home, and get out and comfortable with getting out there networking, and imagine how amazing I would feel once having achieved it. Previously I would go out networking and organising events, client launches but just slowly stopped as business duties became chores in my mind, as a result, I know I can do anything I put my mind to and need to put the work in to address my person barriers. For those of you wondering is it worked and how I got on after the masterclass, well, when I do something I like to do my best and personal development is no exception, as I believe the best investment is in yourself. As a dedicated teachers pet, I went over Wajeeha’s booklet and practised a little day by day. Of course, some days I would slip back to my old ways, and negativity came back, then equipped with a reminder from Wajeeha in my mind, I remember I need to get back on track with the tasks consciously in my mind. If you give yourself time, explore why you do what you do, reflect, review, address your challenges and put actions in place and keep going, Wajeeha’s masterclasses do work. The people who succeed are the ones who attend, listen, practise, reach out for help, they are determined and resilient, especially when it’s just them and their mind. Wajeeha’s events are underestimated and hidden gems in London if you need help with life, love or career. It helps that she is a qualified expert with psychology at the heart, so she has done all the hard work and if you practise the tasks you will truly benefit. Plus the cherry on top is that you get a half-day Masterclass for half the price and best of all it consisted of practical tasks, work book and best of all you get answers and breakthroughs! What one action will you take this week to get comfortable with the unfamiliar, and get uncomfortable with the familiar? You can find out about Wajeeha’s latest events by visiting her Eventbrite page via www.wajeehaamin.eventbrite.com or subscribing to her mailing list on her website www.wajeehaamin.co.uk.